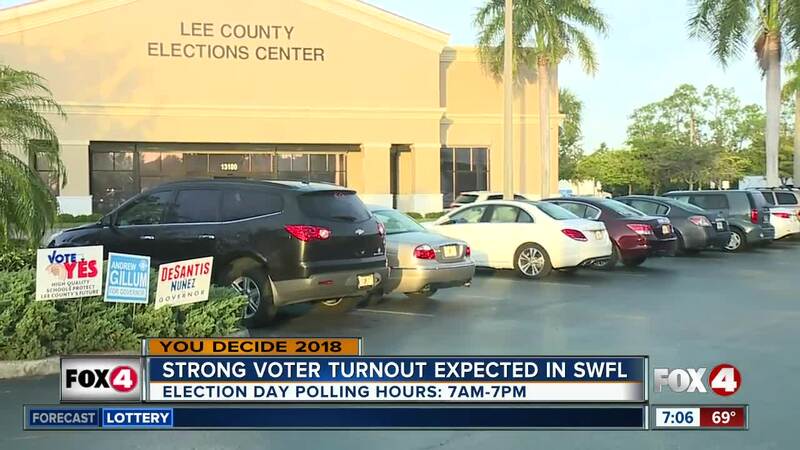 LEE COUNTY, Fla. – Millions of Floridians have already voted in the 2018 midterm election. Election officials said there was a significant increase in early voting this year in comparison to previous years' early voting numbers. They expect a good turnout on Election Day. Lee County Supervisor of Elections, Tommy Doyle said nearly 50% of registered voters in Lee County already voted in person or by mail. Doyle said he expects the turnout to reach 70% by the end of Election Day, meaning 70,000 more voters will need to show up. 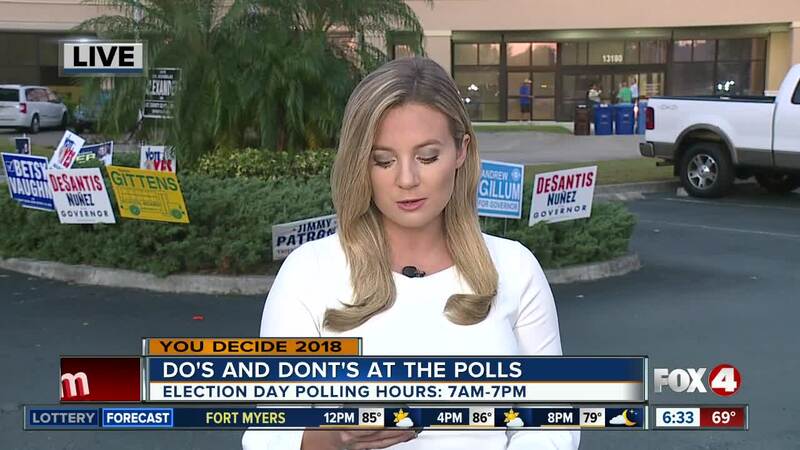 In Collier County, election officials expect even greater turnout numbers, according to Melissa Blazier, the Chief Deputy at the Collier County Supervisor of Election’s office. Blazier said just over 50% percent have voted early and at that rate, she expects a strong turnout on Election Day. Across Southwest Florida, election officials said more people have registered to vote since 2014. They’ve also seen a lot of first-time voters casting their ballots. Election officials said they expect the polls to get busy right before people head to work, during lunchtime and right after people get off work at around 5 P.M. They expect a steady and strong turnout. Election officials remind voters they need to vote at their precinct on Election Day. Election officials say voters need to come prepared when they cast their vote because the ballot is very long. They suggest voters fill out a sample ballot beforehand and bring it as a guide. Polls open at 7 a.m. and will close at 7 p.m. Mail-in ballots must be turned in by the time that polls close.